What are the best all natural sunscreens? What sunscreen can my baby use? What are the worst sunscreens on the market? 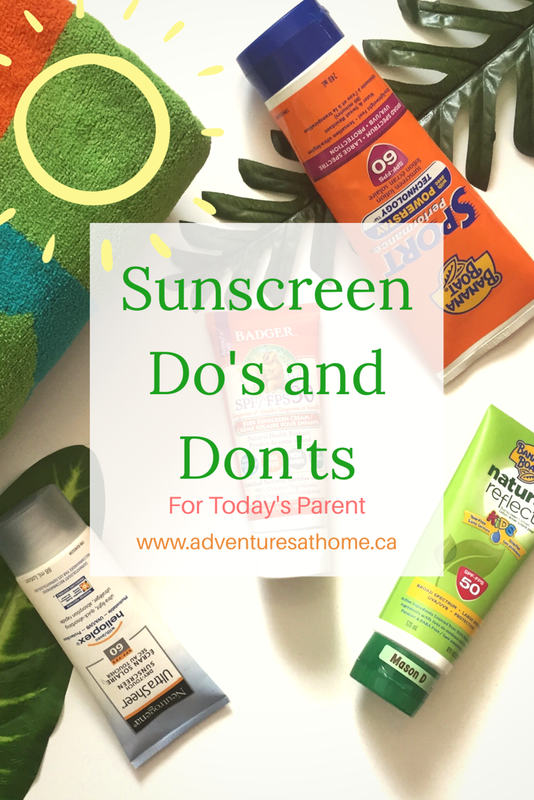 Is sunscreen going to seep poison into my child's body? I'm here to break it down for you in the most simple way possible. I love sunscreen and I wear it every single day. I didn't hear about all natural sunscreens until a couple of years ago, so basically I'm probably already full of poisonous chemicals from years of sunscreen use, but there MAY be some hope for my kid, right? In all honesty, I don't regret my chemical filled sunscreen use because it's better than no sunscreen at all- I am extremely fair skinned, and I do NOT tan, I instantly burn. Here is some super basic information about sunscreen use. Disclaimer, I am not a chemist or anyone who has anything to do with making or selling sunscreen. I am a regular mom who likes to research things. 1: What is the best type of sunscreen to buy? You're going to want to find a sunscreen that has the active ingredients listed as "titanium dioxide and zinc oxide". This means that the sunscreen is forming an actual barrier on your skin so the harmful rays can not get through (a sunblock) Other sunscreens that use chemical ingredients, are actually absorbing into your skin to absorb the sun's rays in place of your skin absorbing them. The thought is, that a mineral sunscreen that sits on top of your skin is better than your skin absorbing chemicals. 2- What sunscreen can my baby use? They recommend no sunscreen at all until after 6 months old because babies have such thin skin that it can absorb more chemicals than ours can. My son was under 6 months old during his first Summer, and we were very cautious about keeping him out of the sun (especially during the peak hours of 10am-2pm.) If you do take your baby out, make sure you dress them properly with a sun hat, and proper shade. 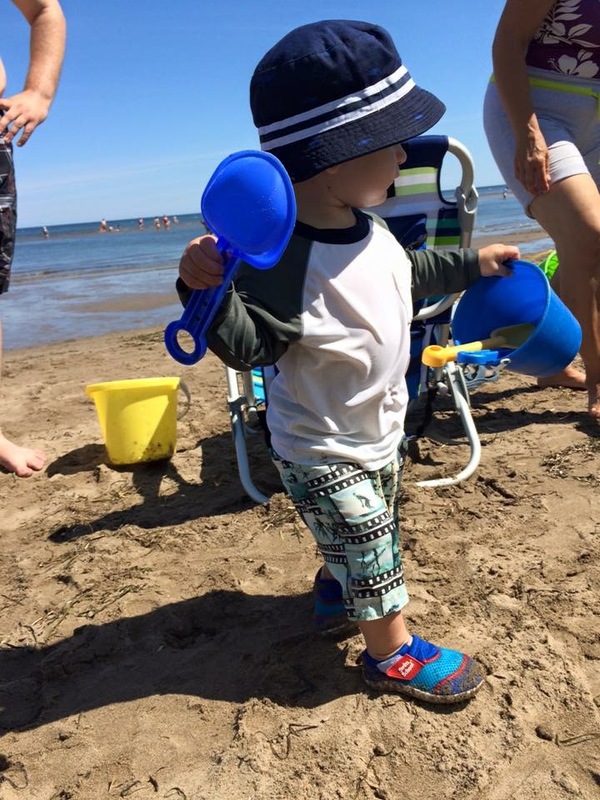 The photo below is Mason when he was around 2 years old- he wore sunscreen at that age, but we also relied on his sun hat and proper clothing to protect him from the sun. 3- What are the worst sunscreens on the market? Check out this awesome website for the best and worse sunscreens on the market! 4- Is sunscreen going to seep poison into my child's body? What isn't harmful now-a-days? I think when you know better, you do better, so if you are using one of the "worst" sunscreens on the market, there is always room for improvement. With that said, don't beat yourself up if you've already purchased something and later find out there is a better alternative. Any sunscreen is better than no sunscreen (in MY opinion). Sun burns can cause lasting damage to the skin, and the more sunburns you have as a child, the higher your risk of skin cancer.The sunscreens with zinc oxide and titanium dioxide will sit on top of their skin, and not seep in. Some people also say to check for sunscreen that says "non nano" because that means that the particles are not small enough to be absorbed into your skin, however there is some debate on this. If you're really worried I would start by finding one with the ingredients listed above. Wear it every day. Even if it seems cloudy, harmful rays can still break through and effect your skin. You're going to want to make sure you and your children are always protected. Reapply several times throughout the day, especially after swimming or sweating. Keep a spare in your diaper bag, purse etc. You don't want to get caught out on an impromptu trip to the park without sunscreen. Moms- Don't forget about yourselves! ALWAYS wear sunscreen under your make-up, or find a primer with SPF included. Funny enough, I forgot my usual sunscreen at home on our trip this past weekend and used some of Mason's Badger sunscreen on my face- it evened out my skin tone better than my primer does! I plan on getting some for myself. Sunscreens made with zinc oxide and titanium dioxide can cause a white cast on your skin, but I'm so pale it just made my face look smoother lol. Don't forget to apply it to any skin that is exposed- including your hands! Rely only on sunscreen for sun protection. Please also dress accordingly, wear sun hats, sunglasses, etc. Use aerosol spray sunscreen. This may be a matter of opinion, but in my experience, its seriously awful. I have always burned every single time I put spray sunscreen on. It's also not good for children to breathe it in as you're spraying it, and there have been reports of the can heating up and causing burns from the hot liquid. Assume that higher SPF equals better protection. After SPF 50, the increase in protection is minimal. Use expired sunscreen!! A lot of people don't realize that sunscreen has an expiry date. Most sunscreens have a 3 year expiration time, but please check each bottle to be sure. What are my favorite sunscreens? 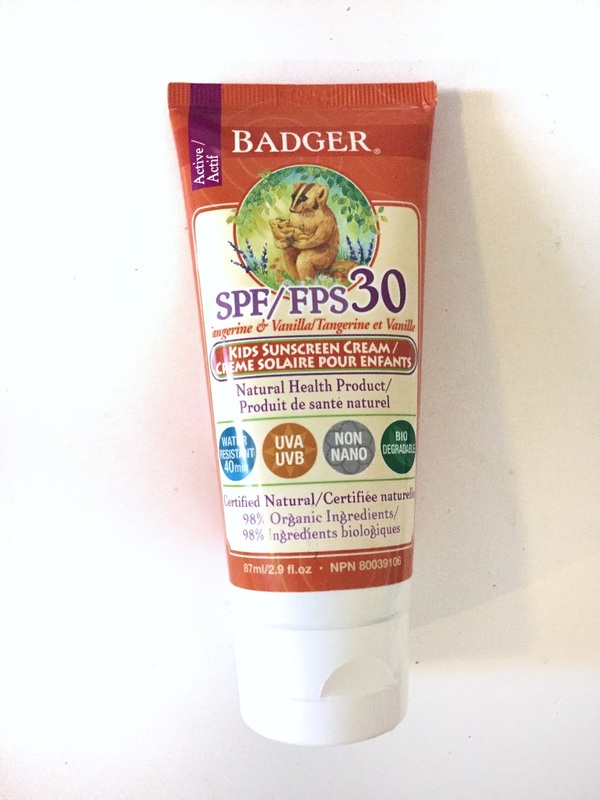 I am LOVING Badger sunscreen. The children's sunscreen was sent to me for review, for Mason. It smells amazing, and works better than any sunscreen I've tried yet. I love the natural ingredients, and their customer service is amazing. Before I received the Badger sunscreen, I bought the Banana Boat Natural Reflect sunscreen for Mason because I needed something quickly. I love that it has zinc oxide and titanium dioxide as the active ingredients, however a lot of the other ingredients are not "natural" as the name would suggest. If you're looking for an ALL natural product, make sure to read the ingredient list carefully and do research on the product before purchasing. Comment below and tell me your favorite sunscreen! Do you burn as easily as I do? Tell me your sunburn stories below.